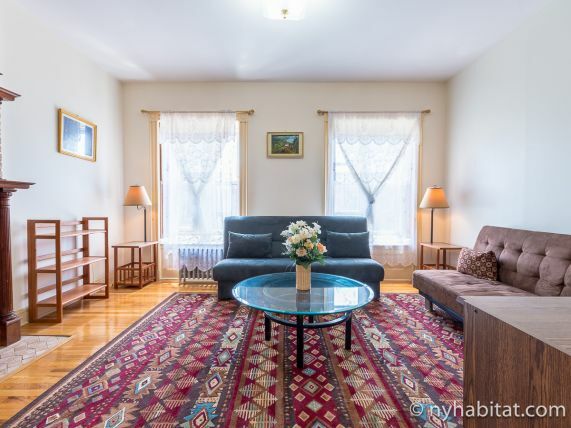 This one bedroom furnished apartment is located on the third floor (considered 2nd by Europeans) of a three-story brownstone at 126th Street and Madison Avenue in the Harlem neighborhood of New York. 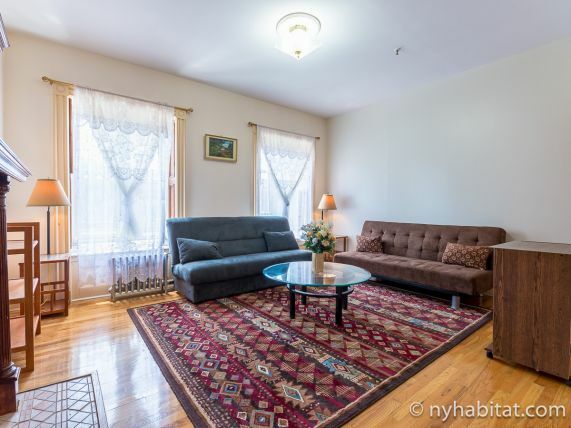 With its classic details of hardwood floors and decorative fireplaces, this air-conditioned apartment with video intercom security system would be the perfect spot to live in Manhattan. Enter the apartment in a hallway that faces the kitchen and gives access to all the other rooms in the one bedroom. 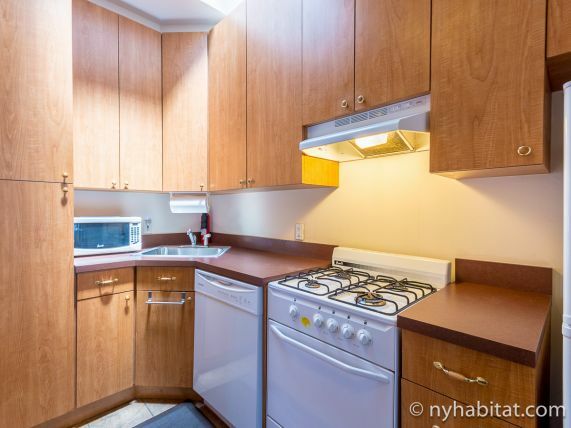 In the kitchen there is a 4-burner gas stove, dishwasher, and all the appliances you would need to prepare home cooked meals. 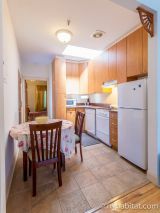 The eat-in-kitchen also has a dining table for 4. Down the hall in the living room there are two sofas that can convert into double size beds. They are positioned around a coffee table that faces a decorative fireplace and a television. 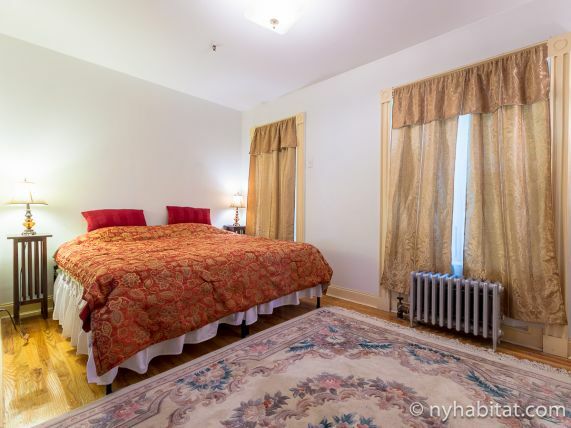 Located at the other end of the apartment, perfectly situated for privacy, is the bedroom. 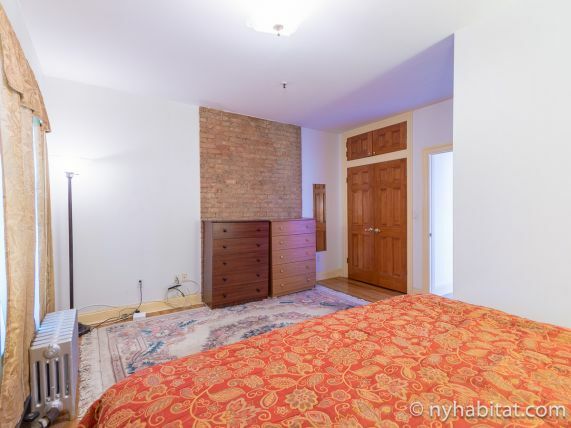 In this room with exposed brick walls is two single size beds. 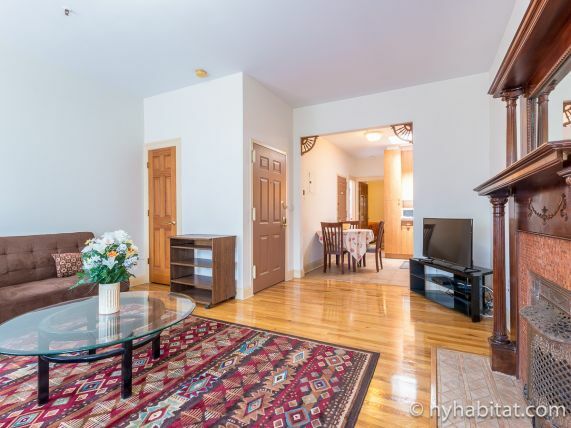 This room also features two windows that overlook the backyard and a walk-in closet plus overhead storage space. Next to the bedroom is the stark-white bathroom whose primary source of light is the overhead skylight. 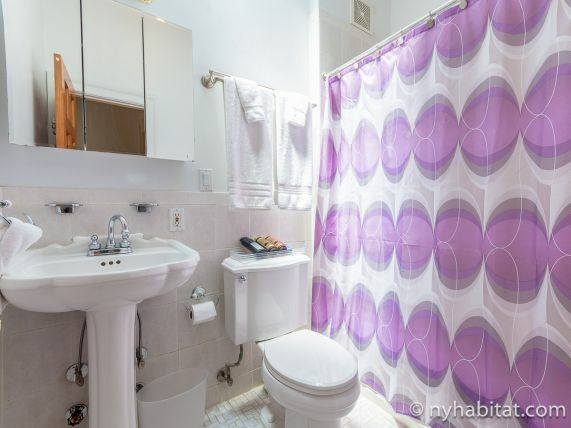 The bathroom features a tub with shower unit and a pedestal sink with a mirrored medicine cabinet above. This neighborhood has changed and continues to change each day! For access to the rest of the city there are several subway stations in the area. For the 2, and 3 lines go to the 125 Street / Lenox Avenue Station (0.3mi), and for the 4,5, and 6 lines head for the 125 Street / Lexington Avenue Station (0.3mi).